This review, by David Hirsh, is published in the fathom. Social theorists sometimes enjoy treating the ‘now’ as the key turning point of history; they like it because it puts their own intellectual work of understanding centre stage. With this often comes nostalgia for a past which exists partly in their own imagination, extrapolated from a few fixed points of fact and anecdote. And it looks to a future, either rosy or apocalyptic, depending on the extent to which the theorist’s understanding is taken on board. We tend already to have pictures in our heads of the relationship between Jews and the Left which fit comfortably with our own worldviews. Jewish conservatives tend to see the Left as a constant threat which is always tempted to position the Jews as being central to what is bad in the world; they see the Left as being ever hopeful that Jewishness itself will wither away alongside the other vestiges of oppressive society. The Jewish left, on the other hand, is nostalgic for authentic ‘Jewish values’ which, naturally, mirror its own; it pictures the Jews as being forged as a radical people by oppression and exclusion, and it emphasises a coincidence of interest between the Jews and all of the diverse oppressed in the world. Philip Mendes’s book informs and challenges our happy processes of narrative construction with scholarly research and it offers a more detailed study of how things have actually been in particular times and places. It gives us more fixed points which discipline and shape the stories we tell ourselves; it offers us a more complex and human picture than some of us would like to assimilate into our schemas of history. An interesting imbalance which Mendes describes is that while a significant minority of Jews were influential within the radical left, a substantial majority of Jews remained outside of it. Most Jews did not commit themselves to changing the world such that antisemitism, as well as other forms of injustice were eradicated; more of them embraced one variant or another of Jewish nationalism, or they emigrated to more hospitable places such as the USA, Canada or Britain, or they remained inward looking, focusing on their own religious communities. The Jews who either eschewed or performed their Jewish identities in relation to their membership of the radical left were not typical. A contemporary imbalance follows: while a large and influential proportion of left anti-Zionists are Jewish, only a very small percentage of Jews are anti-Zionists. On the other hand, argues Mendes, the Left, broadly conceived, did have a number of contact points with the wider Jewish communities. The Left’s universalist tradition of equality coincided with the interest in emancipation of the Jews; many Jews in Europe and Russia were poor and the Left championed the poor; there was a Jewish tradition of literacy and intellectualism which fed easily into the Left and that attracted some Jews; Jews moved toward the towns and cities early and the Left was a significantly urban movement; Jews often had an ambiguous place in relation to the identities of the emerging nationalisms amongst which they lived, as did the Left, so notions of cosmopolitanism had the potential to become a shared value, as well as a source of particular hostility from the outside. Many who have witnessed, or even experienced in themselves, the angrily disproportionate and highly emotional hostility which some instantiations of radical Jewish identity can engender towards the mainstream of the Jewish community, have wondered if there might be some psychological explanation for the phenomenon; Jews who loathe Israel, Jews who cannot smell antisemitism, Jews who long for assimilation, Jews who themselves seem to repeat or endorse antisemitic stereotypes, Jews who find justifications for the antisemitism of others; Jews whose special loathing is reserved for other Jews. Is there something about their own Jewish heritage, something within themselves, part of their own identities, which they hate? Mendes says no. He argues that these are political questions and not psychological ones and that the phenomenon of Jewish anti-Zionism requires political, not psychological analysis. But Mendes outlines some significant and, for many Jews, deal-breaking chapters in the relationship between the Jews and the Left. There were always streams of anarchism, socialism and anti-capitalism which thought of hostility to ‘Jewish capitalism’ and ‘Jewish banking’ as being educative for the would-be socialist masses on their journey towards hostility to capitalism and banking in general. When movements came to power in Russia and Eastern Europe which described themselves as socialist, they were also pioneers of state-imposed antisemitism; the experience of Nazism did little to inoculate Communist states against antisemitism, it only drove them to articulate it in slightly different formulations. Slansky, the (himself viciously anti-democratic) President of ‘socialist’ Czechoslovakia was driven out of power by an antisemitic witch-hunt and he was found guilty of ‘bourgeois Jewish nationalism’. Stalin, towards the end of his life, was more and more committed to an outright war of annihilation against Soviet Jews, the start of which was discernible in the ‘Doctors’ plot’ trial. 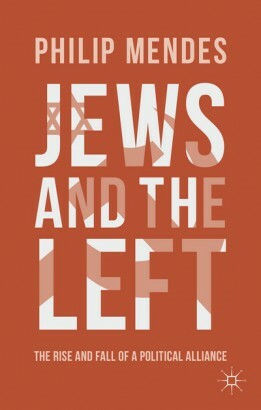 In times when how we feel about the relationship between Jews and the Left is allowed more significance than it really deserves, Mendes’s book is a scholarly seam of research and measured analysis. In particular, we live in a time when young antiracists and scholars are socialised to feel that Israel, and the Jews who are held to support it, are at the very centre of all that is bad in the world. We should use this book to teach them something about the actual histories of Jews in the world and about the harm which can flow from a worldview which appropriates the image of the Jew as a universal symbol. This book substitutes fact for feeling and analysis for symbolism. The Jew as the long-term “other” in European society has never been accepted by the left. This is unsurprising. The left is, at its heart, rationalist and revolutionary. It promotes social disruption and economic redistribution in the name of justice. By contrast, Moses’ liberation theology was quickly embellished with individual rights to life, liberty & property. Moses was a right wing revolutionary. A better call would have been “let my people be”……and this remains the Jewish call of freedom today. The left never accepted this. The right to be “a people”, amongst peoples was to declare independence from the new hegemony they wished to socially engineer. The only place in the world you can be a Jew and a socialist is Israel. Everywhere else, you have to choose. The book review speaks of a history that I learned growing up. There has always been an antisemitic component to the left: from Proudhon to Stalin (and Trotsky) to Galloway. Zola that defender of the falsely accused Dreyfus wanted to turn down it down when first asked. What made him change his mind was his realization that Jews were as oppressed as the miners he wrote about. Many French progressive artists of the period from Edgar Degas to Renoir made life miserable for one of founders of their movement Jacob Abraham Camille Pissarro (to give him his full name) Even his and Zola’s friend Paul Cezanne was an anti-Dreyfusard though less virulent than the other painters. I bring this up because antisemitism wasn’t just or primarily a political movement: it was above all a social view which was inherited from the Christian tradition.